I am not sure about everyone else but in our house we love doing puzzles! 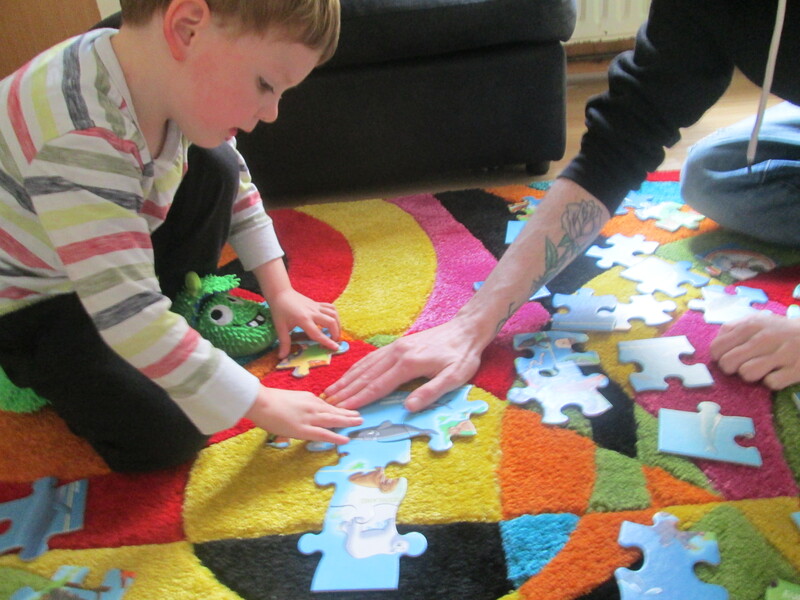 D has always taken a great interest in doing jigsaw puzzles from a young age, at the moment he probably does at least one every day or two. He is pretty good and I have started to find that he only needs help with big puzzles or with ones which are a bit more complex and have similar pictures on the pieces. Otherwise he can do it himself either after the first try with a little help or from the get go. When I was contacted about reviewing the Endangered Animals Giant Floor Puzzle from Ravensburger. I just had to say yes! It sounded perfect for us and D adores animals so I was pretty excited about introducing endangered animals from around the world to him. Ravensburger is a German company which create and produce puzzles and games for all ages and interests. They have been doing so since 1884 when they published their first puzzle. They have since developed and published thousands of games and puzzles, many of which have become best sellers and are well-known around the world. The brands mission is to promote intellectual, social, emotional and creative skills. Ravensburger are also one of few companies which still produce and manufacturer almost all of their products in their own factories which helps them to ensure they are getting the best and highest quality puzzles and games possible. The founder of the company started it with the principle "Only the best" and that is still a driving principle used in the company today. 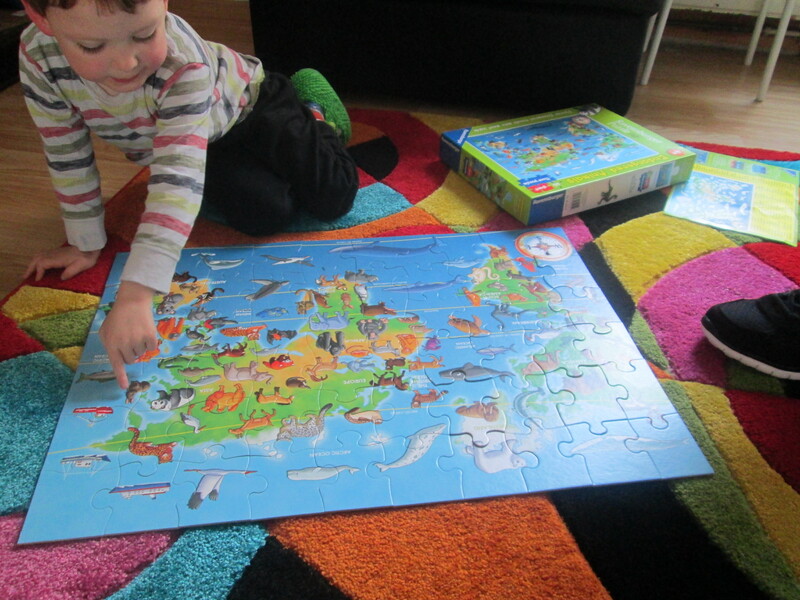 The endangered animals giant floor puzzle arrived during the Easter break and D was immediately intrigued by the box. I managed to hide it away with the promise that we would do the puzzle very soon! It didn't take long for me to cave in and get the puzzle back out once Easter Sunday was over! An information page containing the names of each endangered animal beside their number. The numbers can be matched to the picture of the puzzle above them. We got all the pieces put out on the floor and picked one piece where we wanted to start. 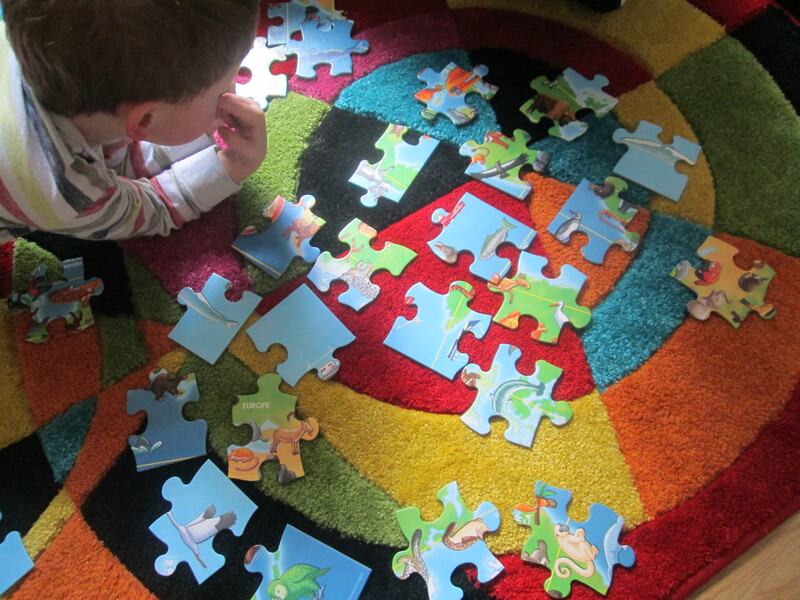 Most adults start a puzzle with a corner or edge piece but that is not necessarily true for children. Most of the time it is not the case for D and right away I noticed that each individual piece had something that was immediately recognisable and could be matched to the picture on the box and we could see what might be on the pieces next to it! This for me was a great advantage as some puzzles have wide spaces where there are just patterns or very small pieces of whatever is in the puzzle at the edges. D has found the endangered animals giant floor puzzle to be challenging and we have been doing the puzzle as either a family or with me or Simon helping him. He has done the whole puzzle a few times now but his excitement around the animals, the pieces and finding where the next piece might be or attach to hasn't even began to disappear yet. I think the puzzle itself is challenging enough to retain D's attention for longer than usual by the amount of animals and the differences in what he was looking for on each piece. 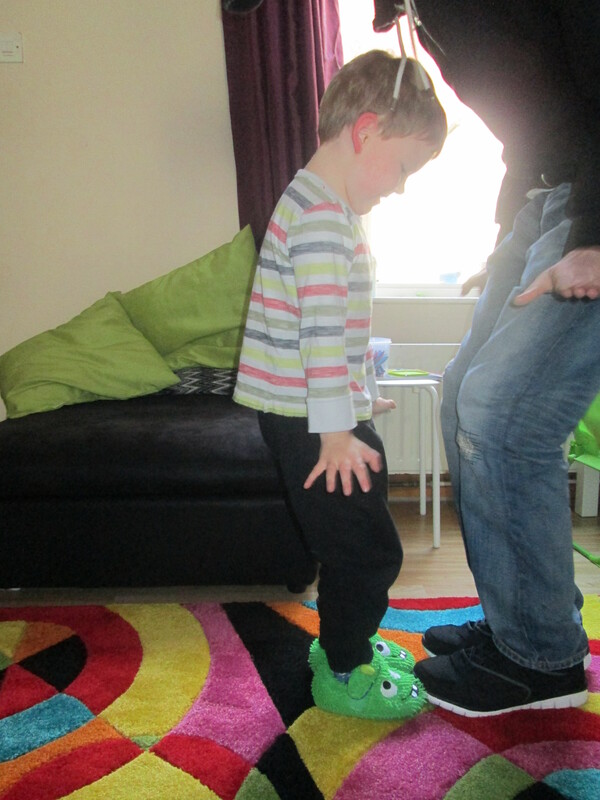 One thing he did notice was that many of the animals had been cut off at their bottoms! Meaning that he spent a lot of time looking for animals bottoms on the next piece he needed. Each piece does usually have more than one animal on it and no matter what we animal we said was beside it he would rather find the bottoms! He did think this added a funny aspect to the puzzle building process. The puzzle itself is thick sturdy pieces which are soft to the touch and have beautifully rounded edges. There are no bumps or ridges on any of the 60 puzzle pieces and each piece easily fits into the others around without much effort needed. This also makes the puzzle easier to take apart at the end. The pieces are broken away from each other easily and the tidying up process is quite short! You can really feel and see the quality of the puzzle and each of the pieces while you are using it. The front of the endangered animals giant floor puzzle from Ravensburger is smooth to the touch. The illustrations on each piece of the animals are beautiful but they aren't too realistic while still staying true to the unique qualities of each endangered animal that is featured. For me this is perfect for D and children of his age, it makes the animals have a friendlier look and many of the animals in the illustrations seem to be smiling which D loved to point out. The puzzle is also bright and colourful, showing an array of beautiful shades while still making all the animals stand out against the map of the world they are placed on. Throughout the puzzle building process each time we would look at the information sheet and match up many of the animals to their names. After the first time of doing this D started to copy us and tried to pronounce each of the names. While we did this we also talked about what type of animal each was and in a few cases we talked about where the animals are from and where they live. We did advance on this a little more when we had finished the puzzle. At the end we talked about our favourite animal on the board and about why they are called endangered animals and what the word endangered means. D and Simon played at being some of the animals on the puzzle and jumped around making the animals sounds or moving like the animals in the puzzle would. D loved being able to copy some of the sounds and they even attempted to be whales and bats making the same types of sounds we would expect them to make. He was pretty disappointed to find out that some animals don't really make much noise, especially the fish and animals that live in the sea! That has now become my mission for the next time we do the puzzle. Hopefully I can find sounds that the animals make online and we can keep using the puzzle as a real learning tool to branch off from and discover everything we can about some of the endangered animals of the world! Once we had completed the puzzle and played around at being animals we also talked about which animal was our favourite and the ones we liked. We even talked about ome which D thought could be a bit scary like allegators and bats! 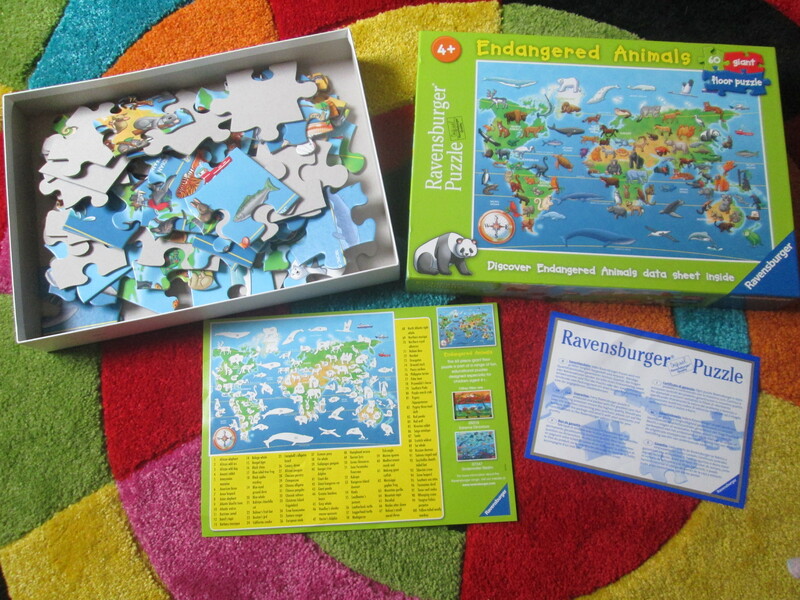 We as a family loved the Ravensburger Endangered Animals Giant Floor Puzzle and I honestly couldn't find one aspect which I didn't like. I do think that the only way to improve the puzzle would be to add in a small booklet or double-sided sheet with a child friendly fact or two about each animal featured. 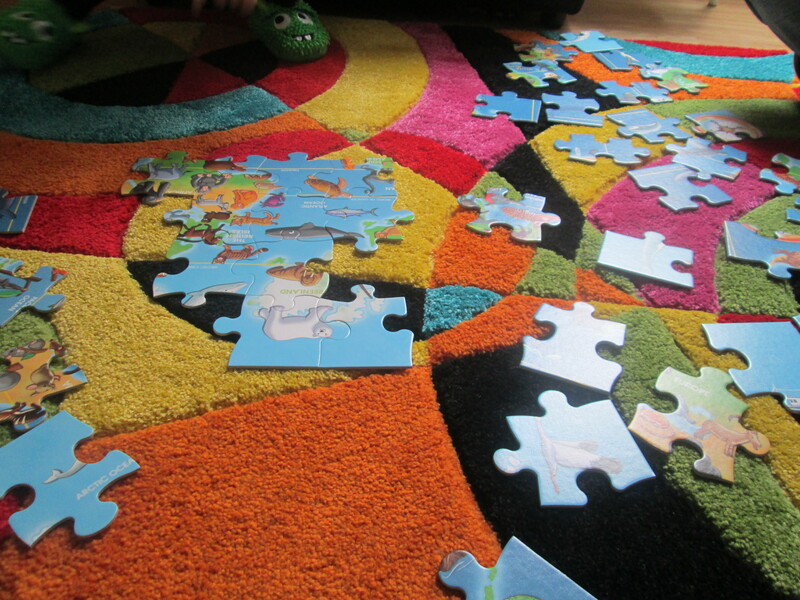 I think that Ravensburger have done an incredible job when it comes to the Endangered Animals Giant Floor Puzzle. The quality of the puzzle is very high and it makes the pieces a joy to handle and use. Each piece is perfectly made for children and thick enough to withstand some heavy-handedness should it need to. Not only is the puzzle engaging enough for children to gain enjoyment out of it, but with the involvement of having the information sheet and reading the names of the animals by matching the pictures/ numbers it makes the puzzle a family affair or perfect for some quality time between parent and child. There is so many versatile aspects which can be used with the puzzle for children of all ages. Learning about endangered animals is something we as adults need to be teaching our children. Pretty soon they are the individuals and the society that we will want to help protect those animals and ensure they survive. Ravensburger have provided a fun and engaging way to give parents and families a starting place to introduce the endangered animals to younger children. 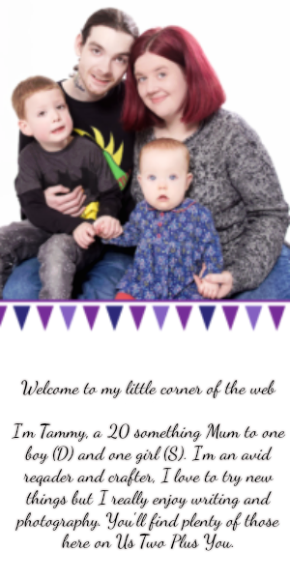 Even families with older children who may not find the puzzle as entertaining can still use it together getting the older children to find out some facts about the animals using the internet or books. Sharing the information and talking about it after the younger children have finished the puzzle. I would recommend this puzzle to all children and families with children of age 4 and above. I think that any child who enjoys animals and puzzles would love it. 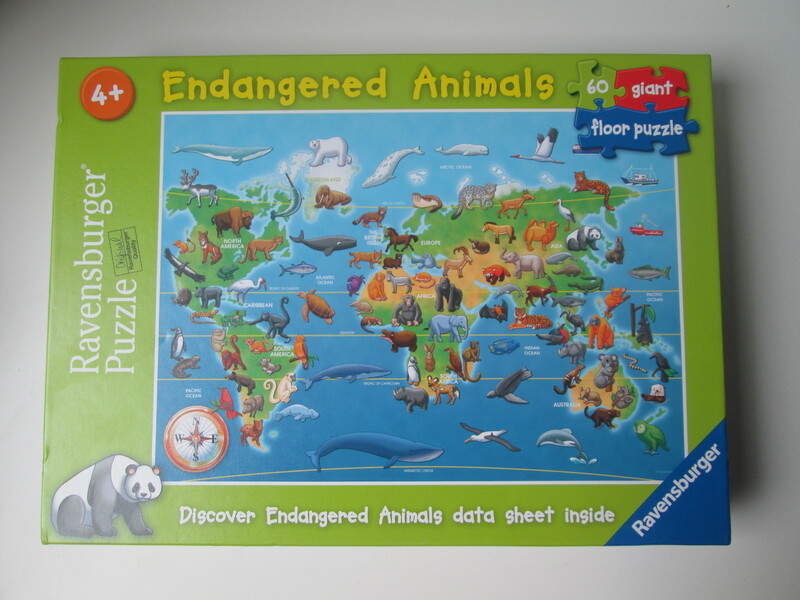 You can purchase the Ravensburger Endangered Animals Giant Floor Puzzle which has an RRP of £9.99 on Amazon by clicking the link. Disclaimer: We received this puzzle in return for an open and honest review. All views and opinions expressed above are my own.